Senate File 151: Creates protections from motor vehicle forfeiture for innocent vehicle owners who were not in or operating the vehicle at the time of seizure. Senate File 3481: Reforms sentences for a number of drug offenses; expands the conditional release program for non-violent drug offenders. The Marshall Project conducted a nationwide survey of statutes and found that many people being classified as “violent” criminals have committed offenses most would not consider violent. In Kentucky, possession of anhydrous ammonia with intent to manufacture methamphetamines is classified as a violent crime, and carries a potential sentence of 20-50 years. 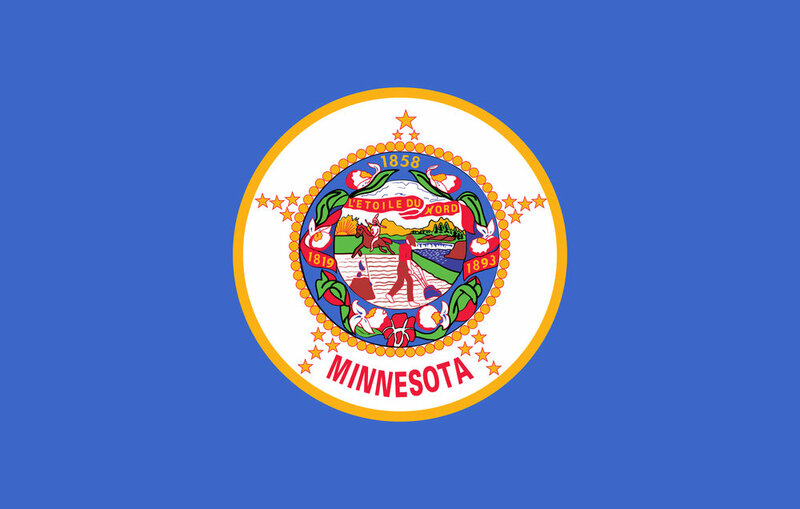 In Minnesota, possession of marijuana can be considered a violent offense. And in North Carolina, trafficking a stolen identify is classified as a violent crime. The Minnesota Legislature is considering resurrecting a parole board similar to the one the state had in the early 1980s. Under current law, Minnesota’s commissioner of the Department of Corrections is the only person authorized to grant or deny parole requests for individuals serving a term of life in prison. The proposed board would consist of five panelists recommended by leaders of both political parties, each of whom have at least five years of criminal-justice related experience. Paul Schnell, who was recently appointed to head the Department of Corrections, has endorsed the reform. New polling from the Justice Action Network showed that 82% of Minnesotans supported standardizing probation guidelines, and 61% favored a five-year cap on felony probation. The Star Tribune editorial board cited the polling in an editorial in favor of recently-introduced probation reforms, as well as measures to encourage alternatives to incarceration. In addition to support for changes to the probation system, the poll showed that 74% of respondents said they would be more likely to vote for a county prosecutor who backed the reforms. At Minneapolis’ All Square restaurant, every employee has a criminal record. While working at the U.S. Department of Housing and Urban Development, owner Emily Turner was frustrated by the obstacles faced by formerly incarcerated people, which she calls “one of the biggest civil rights issues of [her] generation.” Turner and the restaurant’s board created a 13-month fellowship program to help returning citizens and people with criminal records study marketing and finance, connect with mental health caseworkers, and get help with transportation and financial planning. Fellows start at $14 per hour, and are paid for 10 hours of structured coursework per week. Minnesota’s federal re-entry court matches participants with community mentors and does away with the adversarial system of normal court proceedings. Returning citizens who are deemed to be at high risk of re-offending work with judges and federal law-enforcement officials to help find housing, employment and addiction treatment. Program participants have a 27% recidivism rate, well below the 73% rate for high-risk individuals outside the program. Chief U.S. Probation Officer Kevin Lowry said the re-entry court saved up to $30,000 per participant each year by reducing recidivism and allowing people to remain on community supervision. A new report from the Pew Charitable Trusts examines how states used performance management systems to ensure data-driven policy reforms are working. Minnesota created the Dashboard, a public website that tracks and reports performance, with detailed data that is regularly updated. New Mexico’s Agency Report Cards provide public accounting of performance ratings and scores within agencies, as well as information on whether the performance is getting better or worse. Pew’s report includes recommendations for states looking to implement performance review systems and create a culture of data-driven accountability. Minneapolis Police Chief Medaria Arradondo announced Thursday that city police officers would no longer conduct stings targeting low-level marijuana sales with felony charges, and dismissed charges against 47 people arrested in 2018. City officials were alerted to racial disparities in arrests by the county’s chief public defender, who noted that 46 of the 47 people arrested were black. In his announcement, Chief Arradondo said they would seek alternatives to incarceration, including treatment, counseling and diversion. A one-day snapshot of inmates at the Hennepin County, Minnesota jail in December showed that nearly 20% of inmates had a history of opioid use when they came into jail, nearly all were actively abusing opioids at the time of admission, and two-thirds of that proportion had previously overdosed on opioids. Only 18 of the jail’s 851 inmates had undergone inpatient addiction treatment. The jail now provides counseling for those leaving the jail, as well as two doses of naloxone and training on how to use it. Minnesota State Senator Scott Newman and Representative Jim Knoblach wrote about the need to abolish civil forfeiture and strengthen the principle of “innocent until proven guilty.” Their bill, which would require a conviction before property could be seized, was passed by a House committee on Tuesday and awaits action by the full House.